Hungry but too lazy to go out for an outdoor dinner? Uber Eats is a great savior for these situations. It’s not the only option in the list but the interesting part is that it is already among the planet’s largest food-delivery services and ranks second in the U.S. behind rival Grubhub. Uber is known for both delivering people to their desired destination alongside delivering desired food to people. 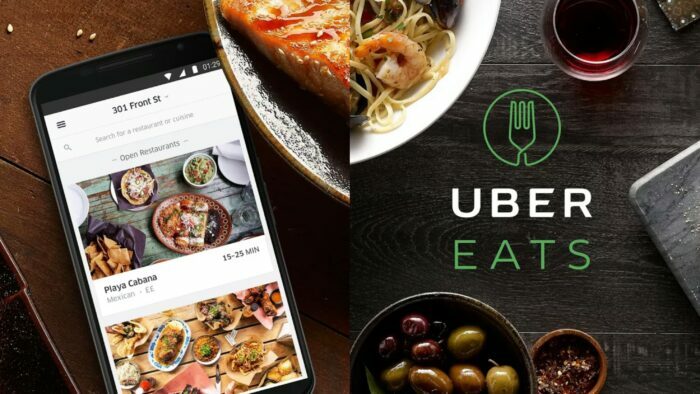 Launched in 2014, projections from its CEO, Dara Khosrowshahi, says Uber Eats is on track to deliver some $10 billion worth of food worldwide this year, up from an estimated $6 billion-plus last year. How is Uber Eats turning into a billion-dollar business? Uber was valued at some $76 billion when it last raised money, in August 2018, and bankers hope its initial public offering, planned for later this year, could rise to $120 billion. The main issue is, in no capacity Uber’s core ride-hailing business can worth that much. The lows of the company have hit extremes, from selling its China operations to local rival Didi Chuxing in August 2016 to selling its stakes in Southeast Asia. 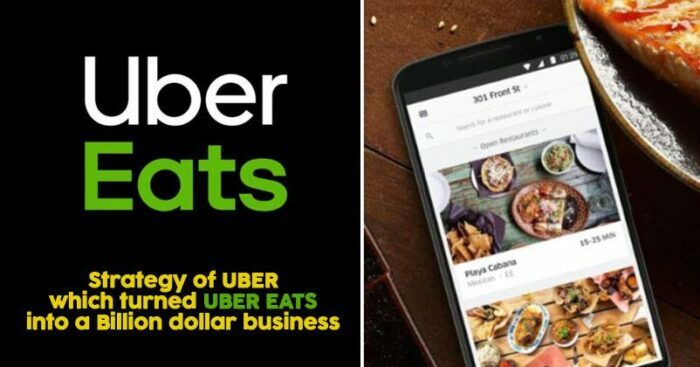 Khosrowshahi said in an interview that Eats was an interesting part-time endeavor when he first joined Uber and since then it has exploded into a significant business. 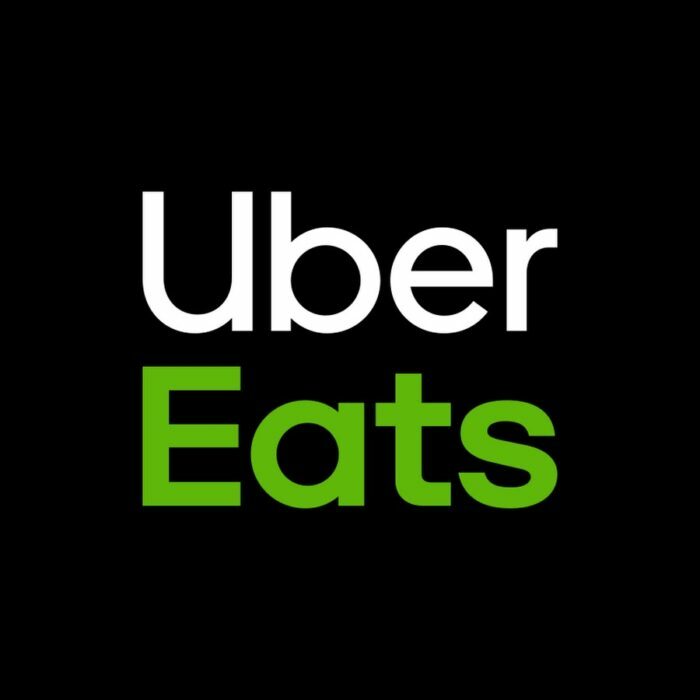 How does Uber Eats make money? Money making isn’t that easy through delivery services. Uber Eats charges generally somewhere between $2 -$8 as delivery charges on a restaurant’s bills. The problem is Uber has to pay the driver to pick up and drop off the food, plus market the service. Thus, Uber’s share of the bill is comparatively lower on average, than in the ride-hailing business. To trim costs, Uber Eats batches orders so a driver can pick up multiple meals at once. Tactically, it also tempts customers with free delivery from restaurants that already have a courier en route. Eats attracts customers for Uber? Interestingly, most Eats customers don’t even use the ride-hailing service. Last year, four of every ten people who used Eats were new to Uber, giving the company access to fresh customers who might later be convinced to give the car service a try. Eats has been able to attract customers for its ride-hailing service. What is the company currently planning? Uber Eats is trying hard to win over more customers and restaurants. It is trying to get partnerships with McDonald’s and Starbucks, which will entice customers to prefer Uber Eats. Uber is smartly trying to copy GrubHub’s business strategies by letting some restaurants do their own deliveries in exchange for a bigger take of the bill. Success for Eats is in convincing Si-Pie Pizzeria in Chicago’s owner Simon Mikhail. Mikhail works with more than a dozen delivery services, but only Eats approached him with an idea of a virtual restaurant, after it noticed how many folks in the neighborhood were searching for fried chicken. Now he sells 160 pounds of chicken a week, exclusively through Uber Eats app. Eats gets a worthy profit from this. Uber has been through a lot of struggles presently and it needs a concrete strategy to boost up their profits. 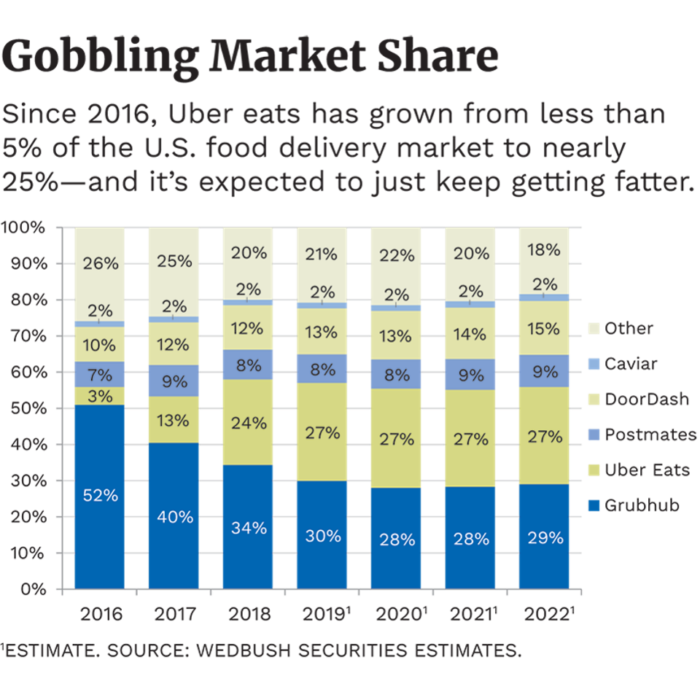 The question which potential Uber investors need to decide: Is food delivery a smart bet on future growth or a fool’s errand in a crowded market?